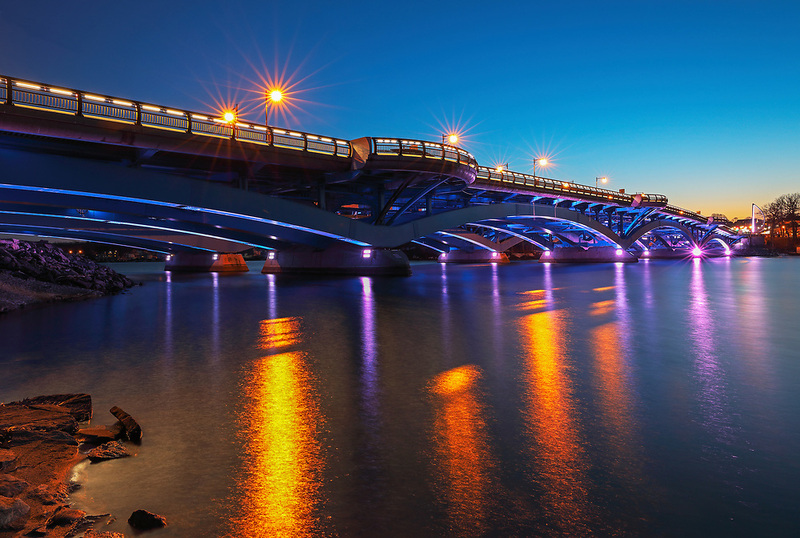 Shrewsbury night photography image showing the newly constructed Kenneth F. Burns Memorial Bridge. Burns Bridge connects Shrewsbury with Worcester and spans across Lake Quinsigamond. To the right of the image is the UMass Memorial Center and the historic clocktower of the former Worcester State hospital, now the Worcester Recovery Center and Hospital. All Central Mass photos are available for digital and print image licensing at www.RothGalleries.com. Please contact me direct with any questions or request.